Battersea & REO, what’s the story? 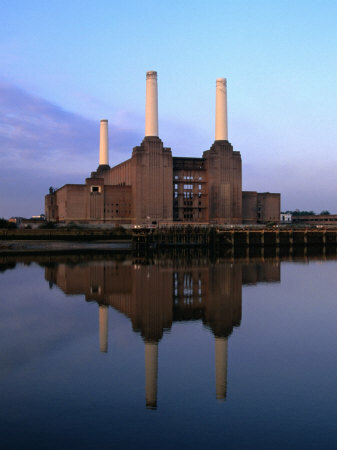 Battersea power station was bought for £400m in 2006, REO took a loan for £226m other £134 was cash/other equity, the purchase was split 50/50 between BOI and BoS in London. only exposure for Bank of Ireland was that loan and now it is in NAMA, people are making a big deal about this and it is important to look at the facts rather than what it represents. The BOI loan has gone to NAMA and BOS was taken by LLoyds, that is the current state of play. Lloyds and NAMA agreed to extend the loan facility to august 2011 – so they (REO) can get through the planning process, which happens to be the single largest planning application in the history of the UK, literally a truck load of paperwork went into the council in connection with the station. Exposure on the loan is now at £100m, it has been a performing capital and interest loan. While the value of Battersea fell as all properties have, it also rose in the last year, the current value is estimated to be in the region of £338m and the NAMA portion is £100m which is about 34% of what is currently owed on a property that is levered in the region of 60%, in lending terms this is good collateral and if the payments are being made then there should be no issue. The loan was only there to purchase, and value is minus planning, post planning the value of the site would rise considerably, because planning is really what this property hinged on all along. The figure of €6bn we hear is not the ‘cost’, and certainly not the cost to NAMA, rather it is the completed value over all phases over ten years, and this figure is dependent on planning occurring. Generally what happens is that a developer will finance the 1st phase, then start the 2nd, sell the first and roll it along. It’s across the road from Chelsea and the house of parliament, in the 9 Elms area, there is a 9 Elms regeneration taking place, all the signs are that there will be planning. the only way to preserve the building now is probably to develop it and not let it rot away. The post code of SW8 is one of the best in London, so the development actually has a lot going for it. The main thing to get to grips with is that the BOI/Lloyds loans were never intended to get the property over the final line, rather they were there to get the ball rolling and it will likely remain as such. The idea to spin this away from REO to a new listing on its own, or possibly unlisted with new JV partner is to the taxpayers benefit, let the project continue and get out of NAMA thus reducing any potential liability to the Irish tax payer. This is also the type of asset that proves that NAMA has some great collateral, it isn’t all fields in Leitrim. As far as REO goes, half of the portfolio of the company is investment, last year their rent roll increased from €46.8m to €48.3m and 2/3 of the top ten clients are Vodafone, NTMA, KPMG and M&S. The history of REO was as a listed property fund, Treasury bought into it, it is a jersey listed company with a listing in London, its main asset presently is Battersea. Treasury is a 66% shareholder and investment manager in the company, hopefully this is helping to paint a picture of what is actually going on rather than what one may only ‘suppose may be going on’. The development isn’t a banger as it has been painted out, rather it is likely one of the most exciting projects on British soil in a long time and has a good chance of success, if it falters then it falters, but it shouldn’t and won’t be at the Irish tax payers expense.